Faith is a funny thing; to place one’s faith in something as vagarious as a director’s talent is downright ridiculous, but there I am when it comes to Korean director Kim Ji-woon. Director Kim hypnotized me years ago with his creepy thriller, A Tale of Two Sisters, then blew my mind with his unthinkable, brilliantly madcap remake of The Good, The Bad and The Ugly, ingeniously titled The Good, The Bad, The Weird. 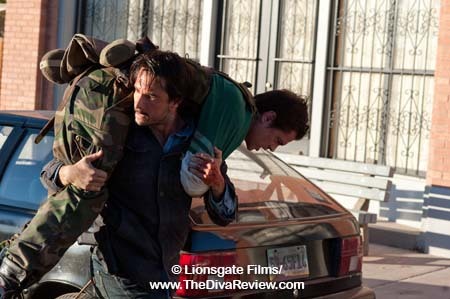 Then Kim rolled over the remaining pieces of my cerebellum with the sublime, psychotic cat and mouse thriller, I Saw the Devil, which was at the top of our Glorious Things list in 2011. There was simply nothing the director had put his hand to that found any fault with me. However, when it was announced that Kim’s first US project would be a vehicle for Arnold Schwarzenegger’s return as a big screen action hero, I have to admit to my faith being slightly shaken. Killer on the loose! An extremely dangerous man has escaped from federal custody, employing a plan of such detail and brilliance as to make the FBI look like a bunch of Barney Fifes. The mastermind behind the scheme is Gabriel Cortez, a drug cartel leader with a thing for psychosis and speed, preferably at the same time. Commandeering an experimental one thousand horsepower Corvette that moves faster than a helicopter, the thug means to escape the US and break for the Mexican border. En route to his exodus is a sleepy Arizona town whose sheriff is a former LAPD drug cop currently enjoying the slow pace of a world where everybody knows your name and the most dangerous thing that happens is a deputy trying to get a cat out of a tree. Sheriff Ray Owen‘s bucolic existence is disturbed by the appearance of some strangers that send old instincts kicking in. 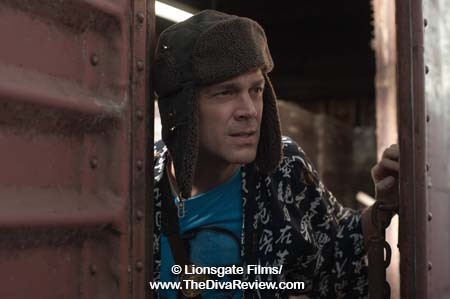 Sure enough, the newcomers are up to no good and the phone call Ray receives from the FBI confirms far more than his worst suspicions: The escaped criminal plans to use Sommerton Junction as his bridge into Mexico and out of the grips of US law. Sadly for Cortez and his cronies who’ve set up shop in Sommerton, they don’t realise they’ve messed with the wrong sheriff of the wrong one-horse town. It’s a simple enough premise and decent ground to sow some good action seeds with. Could it be too simple? There’s the inclusion of the super Corvette which makes the FBI agent despair of having to chase “a psychopath in a Batmobile.” The added subplot of a dirty fed who assists Cortez in his schemes (Why? Dunno.). The showcase of guns of every shape and stripe known to man -- I think I even saw a blunderbuss somewhere. 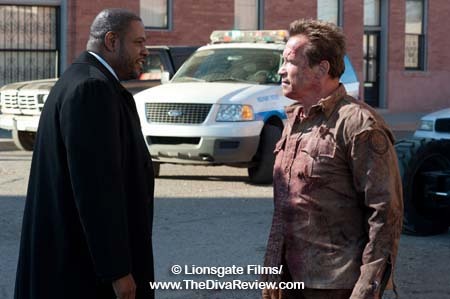 But mostly the movie is meant as a vehicle to welcome 65-year-old Arnold Schwarzenegger back to action movie audiences. After all, an entire generation has passed since he traded Hollywood for the California governor’s mansion. The former pro muscleman’s cinematic glory days can only be accessed on home video and constant repeats of The Terminator on cable television. His cameo in fellow old man action hero, Sylvester Stallone’s hit, The Expendables, and again later in its sequel seemed to have lit a fire under Schwarzenegger to return to the screen. The challenge would be to place him in a film that wouldn’t induce the viewer to laugh at the egotism of someone trying to act a role clearly meant for someone several decades younger. The Last Stand meets those requirements perfectly. 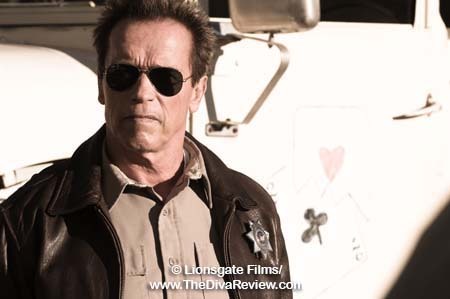 Sheriff Ray’s heyday, like Schwarzenegger’s, is behind him. He’s wisely moved into a safe, yet content old age, but is still more capable than his entire four-person police force. You won’t see Schwarzenegger’s Ray leaping over tall buildings, running miles at top speed or doing Matrix-like kung fu on people. You will see him shoot very large, high capacity guns, for which one must have the center of gravity of an oak tree. We’ll even see him bust out some tried and true wrestling moves, where his still-muscular bulk and experience has an acceptable chance against whippersnapper outlaws. 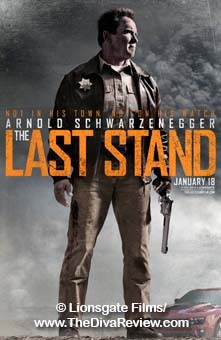 To that end, The Last Stand’s requirements of Schwarzenegger make sense to the audience. 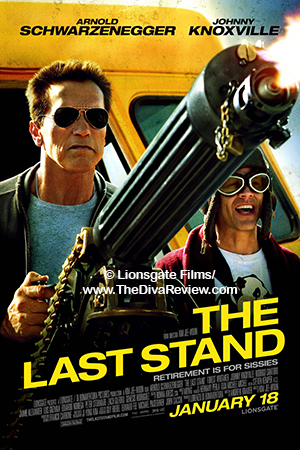 Where The Last Stand attempts to go above and beyond the call of a simple star vehicle is in its choice of Korean director, Kim Ji-woon, known for telling stories via occasionally over-the-top, yet intelligent and disciplined methods. His use of crazy camerawork and quick-cut editing, unblinking use of gore and a deliciously twisted dark humour are hallmarks of his films. While extremely tame by Korean standards, those qualities are at least discernible in The Last Stand. We have the bombast of a zillion guns blazing, lots of explosive pyrotechnics, some high-velocity stunt driving and some genuinely funny moments (Though usually not via the more obvious attempts). Kim keeps the momentum moving and the pace tight once all roads lead to sleepy Sommerton, possibly making up for the decreased physicality of his star. While there is gore and possibly the inevitable discomfort of seeing such gleeful use of firepower during these bitter times in reality when glamourising guns is simply not the thing; The Last Stand’s heedless machismo, imbued with the comedy often supplied by the real talk of the excellent Luis Guzman (“We could turn our backs for a half hour!”), Schwarzenegger himself as the occasionally exasperated sheriff, or the bizarre sight of a shotgun-wielding granny, almost makes the film feel like a period piece. Even the super powered Corvette is a revamped 1970’s icon. It’s a canny choice by Kim to make the humour and action so over the top as to be “guilt-free”; having no basis in reality and so that much more enjoyable. Still, Kim Ji-woon aficionados should be warned that the film is less than the unpredictable zeitgeist fans have come to expect from him. 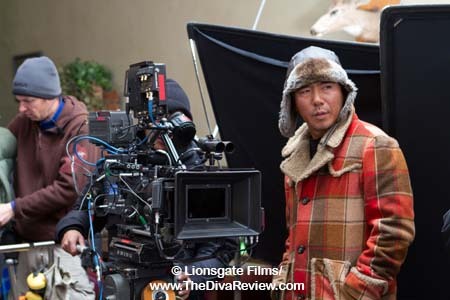 I’m afraid too many cooks and the limitations it seems every successful Asian filmmaker comes up against in the US, have simply watered down the innovative director’s singular style and creative vision. This isn’t to say that the movie is all bad, not at all; it’s just never quite “a Kim Ji-woon film”. 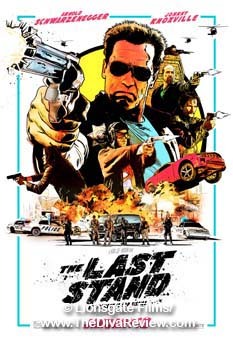 Modern tech and flying blood squibs aside, The Last Stand is far more reminiscent of the wacky, stunt-heavy Hal Needham/Burt Reynolds adventures of the 1970s and 80s like The Cannonball Run or Smokey and the Bandit and should be enjoyed on the completely visceral level of those films.